Though from the swamps of southern Louisiana, Colten is currently missioned to the mountains of Denver where he teaches English at Regis Jesuit High School. He met the Jesuits at Spring Hill College where he studied political science and English and later earned his Master’s of Arts in English from Saint Louis University. Besides studying fairy tales, Victorian Brit-Lit, and new media writing—he spends his time fiercely defending the use of the Oxford Comma! He loves a good story, whether in people’s experiences, novels, or movies. Besides running, reading, and writing fiction, Colten finds time (or loses it, rather) feeding his unholy addiction to coffee. Daredevil’s newest season offers insight into our Christian experience. 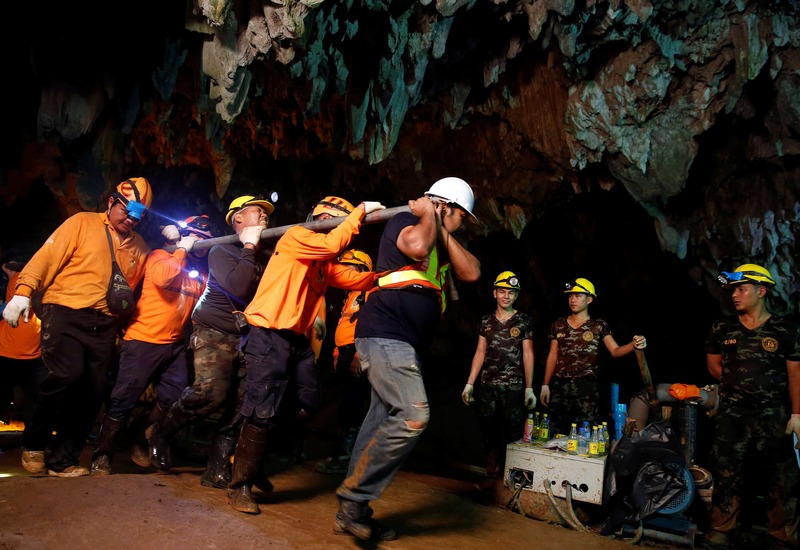 Could the Thai Cave Rescue, Rescue Us? The story of the summer. The world held its breath. Let’s pause to reflect before the moment is lost. In creating a whole universe of movies, miniseries, and television, did Marvel accidentally take it too far in Avengers: Infinity War? What Are We Asking of Teachers? Facing a new teaching job and recalling recent violence in schools, Colten Biro, SJ wonders what’s really being asked of him. On the volleyball court with his students, Colten Biro, SJ holds back on a spike and learns more about serving. Black Panther gives us a different kind of superhero—Colten Biro, SJ explains why that matters. After meeting his replacement, Colten Biro, SJ, finds faith in a puppy’s way of life.